Better With A Book: A Valentine's Day Book Group! A Valentine's Day Book Group! A book club in second grade? No way, you say. I say, YES! Here are my four picks for a Valentine's Day book club! Here's what to do! 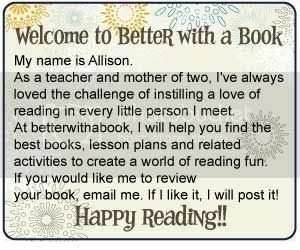 Choose four books ranging in reading levels according to the students in your room. The reading levels of these books range from 1.9 to 3.4, a very realistic variation of levels in a second grade classroom. Have students choose a book that suits them...both entertaining AND appropriate. Make use of that five finger rule! Assist in the choice process if need be, but try to make it a student led event. Once you have created your groups, give students time to read the books. You may want to give time in class or time at home. While they are reading, give them sticky notes to write down any exciting or interesting events, unfamiliar words, crazy pictures, etc. Then assign a job for each of the students in the groups. I'm sure there are several jobs to assign to a book club group, but I found that these three jobs helped facilitate the best conversations. You may have more than one person performing the same job in a group, but it always worked out well for me. REMEMBER: Think carefully about the jobs you assign. There are more and less difficult jobs out there...hint hint. Word Wizard: This person is to look for special words in the story: new, different, strange, funny, unfamiliar, hard, important...Record the page number and words. Passage Picker: Th passage picker chooses parts of the story that should be read aloud to the group. This might be a good part, a funny part, a good description or an interesting part. Have the student record the page and paragraph number and why he chose the passage. Give your students enough time to prepare for the big day. When that day finally comes, have students bring in snacks and drinks for their group. Popcorn, pretzels and fruit cab-bobs were always a big hit in my classroom....have to keep things healthy! For your very first book group, you may want to invite parents or other teachers to help facilitate as you cannot possibly be everywhere at once. However, once they get the hang of things, just bop around to your groups and invite the principal or the reading specialist! An extra bunch of hands always makes things a little easier! You will be amazed at the conversation that your students can come up with themselves. They agree and disagree better than many adult book clubs! Have fun!!! Happy reading! What a great idea! I never thought to try this with the little ones!